Mills Design was proud to be asked to collaborate on this 60m (196′) Superyacht proposal for an existing Superyacht owner. The request came from Dr. Rob Ranzenbach, head of research at the major US Naval Architecture firm Donald L Blount and Associates , a firm with a long record in powercraft both military and civilian. DLBA already had a working relationship with top interior design and exterior styling experts Redman Whitely Dixon who came on board to produce the interior layout. 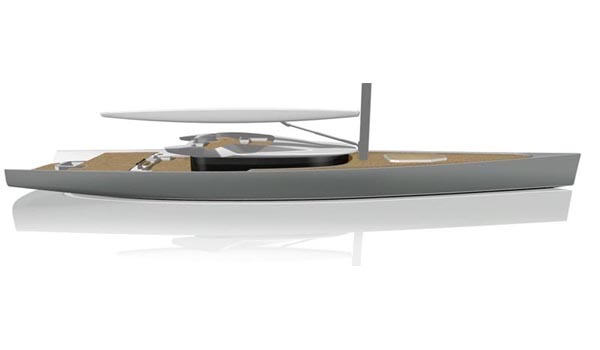 Our brief was to work on the hull, deck and appendage design to offer the most performance to an interior specification derived from the clients existing 45m (150′) Superyacht. 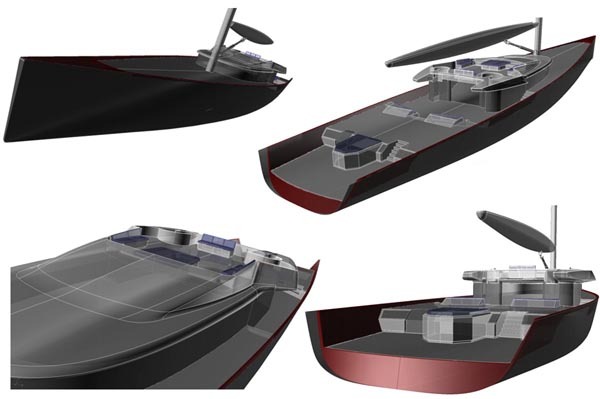 As a result of the high performance levels expected of this design we moved towards parameters more often associated with Maxi racing yachts than conventional Superyachts. 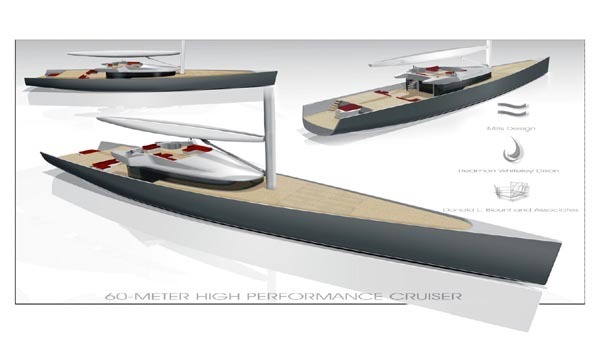 The significant sail plan, deep lifting keel, large bulb size, and slim long hull shape are directly derived from our racing design experience , and are all geared to produce the most rewarding performance possible for a yacht of such comprehensive specification. After preliminary weight estimates established the target displacement and required hull volume around 370T to provide the comprehensive interior required to match the existing 150’ interior we wished to duplicate, a range of length/beam options were examined before selecting the combination of increased length and reduced beam to produce the highest ultimate performance. 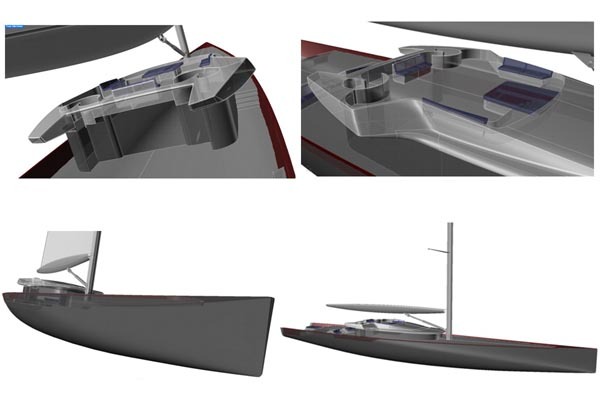 A slippery hull shape was developed using America’s Cup level CFD resources, relying on the flying plumb bow and powerful stern sections to maximize sailing length when heeled. With the emphasis firmly on the experience of sailing, the basic relationship of stability and rig size had to be integrated with keel and rudder planforms and sizes, location, and configuration. Ensuring that such a large yacht is a pleasure to sail as well as being fast and seaworthy relies on these relationships being in harmony. Her innate stability is augmented by the high ballast ratio, enabling the design to stand up to the large sloop rig for sparkling performance in the lightest of conditions. The size of this sail plan led us to develop the simple swept spreader configuration with non-overlapping jibs and masthead spinnakers to cover the full range of competition requirements to controllable ocean passage making. The reduced weight and high modulus properties of the carbon mast and standing rigging contribute significantly to performance, without compromising its suitability offshore.